The Miami-Dade Public Library System proudly provides services, programs and special events to residents of Sunny Isles Beach. The 7,500 square foot library is located on the ground floor of the Government Center at 18070 Collins Avenue. Patrons can gain access to a collection of more than 50,000 volumes as well as the System’s collection of four million pieces. The branch contains the Library System's largest Russian language collection of books, movies and music. With 15 computer stations and laptops to borrow within the library – all in a Wi-Fi environment - patrons can log on to the Internet for free. The branch also presents interesting, fun and high-quality programs of interest to all ages throughout the year. Residents of Sunny Isles Beach are eligible to receive a FREE library card, to apply visit http://www.mdpls.org/. For the convenience of patrons, the City’s Shuttle Service route includes stops at the Sunny Isles Beach Branch Library six days a week. The Community Shuttle also includes stops at or near Mobile Library locations. Following the 1960 teen-exploitation movie Where the Boys Are, Fort Lauderdale, with its seven miles of palm-shaded white sands, instantly became the number-one Spring Break destination in the US. However, having fueled its economic boom on underage drinking and lascivious excess, the city promptly turned its back on the revelers. By the end of the 1980s, it had imposed enough restrictions on boozing and wild behavior to put an end to the bacchanal. Since then, Fort Lauderdale has transformed itself into a thriving pleasure port, catering to individual yacht-owners and major cruise liners alike. It's also one of the fastest-growing residential areas in the country, and has for years been known as one of gay America's favourite holiday haunts. 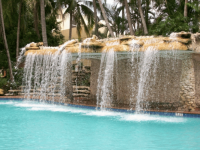 If you would like to stay in Fort Lauderdale or Miami we do have the "Value Rental" deal. 3 nights for $129.00 - Contact us at Edward E. Cambas, Lic. Real Estate Broker 786-200-8817 Buy & Sell Real Estate Services, Inc an equal housing opportunity. Sunny Isles Beach - Looking? Edward E. Cambas sells Sunny Isles Beach Real Estate. 786-200-8817. Buy & Sell Real Estate Services, Inc. an equal housing opportunity. Are you ready to buy in Sunny Isles Beach FL, 33160 - Edward E. Cambas. Almost one million vacationers visit Sunny Isles Beach each year to enjoy a two-mile long fine sand beach and outdoor activities such as water sports, boating, fishing and tennis. Abundant shopping, dining and entertainment options are also available. The landmark Newport Fishing Pier (formerly known as the Sunny Isles Fishing Pier) is a local favorite while the beautiful Samson Oceanfront Park provides a childrens play area, and space to relax, meet friends and enjoy the sunrise on the ocean. click here for programs listings. From the desk of Edward E. Cambas courtesy of the Sunny Isles Beach Official Website. The City provides free Community Shuttle Service 7 days per week with three different routes for the convenience of residents and visitors. runs Monday to Friday 8:00 a.m. to 7:35 p.m.
runs Monday to Friday7:45 a.m. to 3:50 p.m.
9:05 a.m. to 3:50 p.m.
runs Monday to Sunday 8:00 a.m. to 7:50 p.m. Shuttle buses are handicapped accessible and are available for such use when a reservation is made at least 24 hours in advance. To make a reservation for handicapped Community Shuttle pick-up, call 305-792-1706. Pets are not permitted on City shuttle buses except with a passenger who is sight impaired. Free transportation provided to and from Mount Sinai Medical Center at 4300 Alton Road on Mondays, Wednesday, and Fridays pick up at 8:00 and 11:00 a.m. and returning Noon and 3:00 p.m. Reservations required at 305.792.1706. Miami-Dade Transit provides several bus stops through out the City. For more information on Miami-Dade Transit Services and schedules, visit http://www.miamidade.gov/transit/. Miami-Dade County provides Special Transportation Services to those with handicaps. Information for STS is available at 305-264-9000. From the travel desk of Edward E. Cambas. Clickbank offers a way to make money from your home computer - from eddie cambas. Try something different. From the Travel Desk of Edward E. Cambas. Sunny Isles Beach, the City of Sun and Sea, is located on a barrier island in the northeast corner of Miami-Dade County, bounded by the Atlantic Ocean on the east and the Intracoastal Waterway on the west. Golden Beach lies to the north, Bal Harbour and Haulover Park are immediately to the south. Sunny Isles Beach is midway between downtown Miami and Fort Lauderdale with easy access to business centers, entertainment, sports and recreational facilities, and tourist attractions. Residents and visitors can fly into either Miami International or Fort Lauderdale/Hollywood International airports, or cruise into the Port of Miami or Port Everglades and be in Sunny Isles Beach within 20 to 30 minutes. Almost one million vacationers visit Sunny Isles Beach annually to enjoy the 2 ½ mile-long fine sand beach and outdoor amenities such as water sports, boating, fishing, and tennis as well as the abundant shopping, dining and entertainment options nearby. The landmark fishing pier is a local favorite while the beautiful Samson Oceanfront Park provides a children's play area and space to relax; meet friends and enjoy the sunrise. The City is experiencing a major redevelopment renaissance on the east side of Collins Avenue, the main thoroughfare. Zoning laws ensure that view corridors and beach access pathways will always offer residents a life with a view. To the west of Collins Avenue, the City is building parks, improving the infrastructure and laying the groundwork for future redevelopment. The emphasis of most of the redevelopment is on residential condominium construction. The City is steadily replacing outdated motels with luxury residential oceanfront development. Much of the residential construction is not for year-round occupancy, however the statistics show a steady growth in young families who desire to be near the ocean. Whether your idea of vacation means relaxation, adventure or a little of both, your search for the ideal Miami Beach hotel ends with Newport Beachside Hotel & Resort. Experience world-class services combined with outstanding value in a beautiful oceanfront setting, just minutes from Miami and Fort Lauderdale in Sunny Isles Beach, FL. Make your reservation today and get ready to unleash your sense of adventure, unwind at the beach, shop ’til you drop or all of the above. At Newport Beachside Hotel & Resort, the excitement and splendor of South Florida lies at your doorstep. Sunny Isles Beach, Florida # 1 Destination as Reported By TripAdvisor Travel Cast Top 10 Destinations In The US for 2008. For more info contact us at 786-200-8817. Edward E. Cambas, a Lic. Real Estate Broker , Buy & Sell Real Estate Services, Inc. The Newport Beachside Resort is a tropical getaway landmark since 1967, this 3.5 star beachfront resort in Sunny Isles Beach has recently completed a multi-million dollar renovation of our 20,000 sq. ft. pool deck, the lobby, and all public areas. This includes the famous "Coconut Bar" where you can relax and enjoy the sunsets. The resort boasts four dining venues including the Kitchen 305, offering an exciting and unique dining experience where creative plating techniques showcase distinctive gastronomic American eclectic fare at its best. Our most recent addition is the 8,000 sq. ft. Seven Seas Aveda Spa and Salon. The hotel is easily accessible from either Miami or Ft. Lauderdale International Airports, cruise ports, I-95 and the Florida Turnpike. 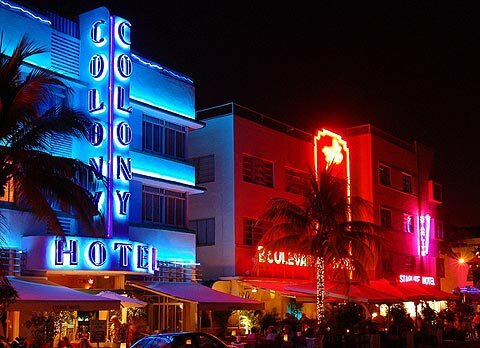 Guests are a short distance to South Beach, the famous Art Deco District, Dolphin Stadium and the fashionable Shops at Bal Harbor. For more info contact Edward E. Cambas, a Lic. Real Estate Broker 786-200-8817 . Buy & Sell Real Estate Services, Inc. The best tip I can give you when you are considering a short sale purchase is to do your home work. This comes down to research and knowing the area you are about to purchase in. When you purchase a short sale because of a decrease in home values, you need to know if you have reached the bottom of the market or if you can expect to see prices decline. It is almost impossible to know this but you should look up property values over a 10 year period and analyze what home values in the area have done. Doing this over a 10 year period will give you a better idea of the market and allow you to make a better decision. If you do your homework, you should be able to establish a very solid real estate portfolio by purchasing real estate via a "Short Sale". The short sale process can be very confusing because it is not as common as a regular real estate transaction. Typically the short sale process takes longer because you have to deal directly with the bank and gain their approval to sell the home. When a client makes an offer to purchase a real estate short sale they do not have the benefit of getting a quick response like they would from a regular seller. The short sale process begins with the client having to show that they are eligible for a short sale. All lenders typically require 2 years of tax returns, 2 years of W2's, most recent month of bank statements for all accounts and a hard ship letter. The process of getting approved for a short sale is the exact opposite of what a borrower goes through when they are trying to obtain financing. When a borrower obtains financing they have to show that they can afford to make the mortgage payments. When a seller is trying to get the bank to approve them for a short sale, they have to show the bank that they have made every attempt possible to try and make the payments. If a lender sees that they have other liquid assets they will not be very likely to help a seller out and approve them for a short sale. Eddie Cambas is a marketing affillate for Hotels.com. If you want a last minute special deal, just click on the link above. Our deal specials do include Miami, Miami Beach, and Sunny Isles Beach, Florida. In addition you can save on Orlando, Ft. Lauderdale and Daytona Beach. This is what info is important to Angel Investors. Get funded. Offered through the busisness desk of Eddie Cambas. The Capital MatchPoint is the first step that helps entrepreneurs build sustainable companies. The principals of NuQuest, Inc. and The Capital MatchPoint collectively have over 70 years of deal making, brokerage, fund raising, entrepreneurship and financial experience to draw from to aid any company regardless of size to get their proposition into the funding sources hands and have it ready to be funded using the AVSTM method. From the marketing desk of Edward E. Cambas. From the business desk of Edward Cambas - Eddie Cambas International. Hostgator offered by the business desk of Eddie Cambas. Buy today. Offered by the marketing desk of Edward E. Cambas. The former chairman of General Electric states rightfully so that the internet “is the single most important event in the U.S. economy since the Industrial Revolution”. The internet obviously changes everything to do with business across the globe. The question is always whether or not you are onboard to take advantage of all that it has to offer. Almost every start-up wants to know how to maximize their results for free. In the beginning all of the smaller companies need to start developing their concepts and platform without paying fees. In fact, a lot of persons with great ideas and concepts need to go the free route in the beginning. In 25 years of business management, I know that most companies are strapped to the week by week earnings cycle. This is why I have become passionate about assisting people who need capital to get a jump-start. This is par for the course. Do not ever feel bad about having a great idea but not enough capital. Even Microsoft had to get money before they ever began to take off. The internet has grown a lot faster than other technologies like television and radio. The internet reached over 50 million users in less than 5 years. The tech sector has not always had its day in the sun. The bubble burst in the markets and caused an overall slump in the economy. One reason is because too many people were jumping in at the top of the market and caused the bubble to rise and implode. All I can tell you is that “what goes up must come down.” You have got to establish value and it is never good to speculate in the unknown. Alan Greenspan stated and warned “irrational exuberance” might lead to unwise investments and economic trouble. Then in 2000 and 2001 what happened? The bubble burst. The dot-com stocks were tremendously over-capitalized and could not sustain price levels. Do not ever chase stocks and buy at the top. Anytime you try to chase a stock, you risk helping somebody else exit their positions so they can make a handsome profit. What about you? You must protect your own assets. You cannot help other persons to make profits when the main objective is to increase your assets. Look out for yourself. The era of the internet is anything but a fluke. There are not very many businesses still left that can do without it. In today’s business environment, managers must take into consideration more when making strategic decisions. Internet users are able to communicate business to business faster, smarter and cheaper than ever before. On a worldwide scale, all business persons should think in terms of integrating the internet into their strategies for management. Something else that must be considered is that the internet offers a lot more entrants to the market because it allows for the barriers of entry to be reduced. A lot of people are trying to go into business with only their website, and then become concerned that nobody is visiting. In addition, they become even more concerned when they come up empty without anybody becoming a paying customer. It does not work that way and even though the path the internet provides is easier, it is not free. Please take the time to research your plan of action prior to launching your start-up. As a business person with over 25 years of experience, please note that something will typically break to put you on the map. It never happens just magically by itself. This blog is written by a member of our expert blogging community and expresses that expert's views alone. Young companies have small margins for error. Mistakes made early on can sink a company before its gets off the ground. Below is a list of 10 common mistakes made by young, small companies. In the list below, I use the generic term “product” to refer to either a product or a service. “Drinking Your Own Kool-Aid” – Overestimating the Enthusiasm for Your Product/Service – thinking your product is more special than your customers perceive. Starting to Work with Customers Too Late – only engaging with customers when the product is ready for sale. Underestimating the Difficulty in Penetrating the Market – not expending enough effort to reach customers and to get them to try the product. Overestimating the Product’s Uniqueness – related to “drinking your own Kool-Aid” this refers to not taking competition into account, where competition can be another product or service, or whatever customers are using today. Underestimating the Effort Needed to Build the Product – promising to get to market before you can actually finish the product. Hiring the Wrong Kind of People – hiring “big-company types” who are used to having a support staff to help them do their work. Not Pricing Correctly – under or over-pricing the product may inhibit adoption. Never Finishing the Product – the “never time to do it right, but there is always time to do it over” syndrome. Constantly redo-ing the product but never finishing it. Not Offering Employees Enough Fun – sadly, a common quality of many startups – despite what you read in the pubs. Disclaimer – as the veteran of six startup companies (two that were successfully sold), these are mistakes I have seen time and again. If you have some additional ideas, feel free to comment. From the business desk of Edward E. Cambas. Create Your Website for FREE Today. Do it now! It only takes 60 seconds! Do you need a business website? Do it yourself or contact Edward E. Cambas. Why Not Angel Investor Funding? Starting a business can be very tough. The hardest part is usually ensuring you either have enough funding to sustain your way through, or even any funding available at all which you can access in the very beginning. There is always going to be many obstacles in your way, and the first step is to have enough money to get through the initial phases. This is a time when revenue is almost always less than expected or in some cases non-existent. So what happens if you have a great idea for a business, but you do not have the funds to launch your startup? Does this mean to give up before you start? No. You can look to angel investor funding to get the company up and running. The key is to know where to find it and how to pitch your concept successfully to capture their attention. In addition you will have to be very thorough, readily available, and be very strong with your follow through. An angel investor is usually an affluent individual who provides capital for a business startup, and in return they usually get convertible debt or ownership equity. Some of the angels organize themselves in groups so they can pool their resources occasionally and also they can investigate the possible opportunities together. As you might imagine, being part of the angel group or association allows for very valuable teamwork and knowledge sharing. It is always nice to have support from your peers who have insight and experience in the same arena as yourself. A lot of angels are small business owners who have made their own way in the business world. Many have established and ongoing concerns and are simply looking at the strong potential for a large return on some of the deals they are proposed. There are a lot of great companies and ideas out there that are only missing proper funding. A lot of the major corporations doing business today would not have ever made it without the startup capital which they received. In addition, many of these investors help with some of the business plans, strategies, or in some cases even ongoing consulting. There is a lot of risk involved when an angel gets involved with a company and puts up capital. That is one of the reasons that the return on investment is substantial in many cases. That might seem like an expensive way to fund your business, however, it might be worth it in the long run. You really have to explore all of your options, but not a lot of startup companies have that many traditional options available to consider. If you are passionate about your concept, be willing to do whatever it takes to make it happen. Bank loans may be extremely hard and almost impossible to win approval for startup companies. If there is no track record or any revenue for the banker to review, your likelihood of getting a traditional loan is almost non-existent. You might be able to put up collateral like a home in order to get approval, but this has its own set of problems that are associated with it. Just be sure to always at least evaluate carefully all avenues before making a final decision. One of the first steps in the process is to calculate what your capital needs are and to have a very professional business plan in place. In most cases, angel investors will consider deals of $100,000 or more. It is just as easy for an angel investor to evaluate a large deal of even one million or more as it is to evaluate $25,000. They would rather see a larger return on the larger amount invested. In addition, be ready to go through a very rigorous screening process because the investor will require plenty of info and due diligence. Another thing is be ready to keep the investor properly informed and updated once the business is running. Your reporting should be flawless, documented, and should include projections. Angel investors are great for getting businesses up and running. It may seem like a lot to give up in the beginning, but compared with not starting up at all it’s definitely worth it, plus the motivation and mentoring they can provide could ultimately be the difference between success and failure. Microsoft never would have come to fruition without some assistance in the beginning. Do your homework and carefully review any documents or agreements which are proposed.